Would like to set up a Buzzex masternode but don’t have enough BZX to activate one? No worries, I have a masternode pool for those who do not have enough BZX to run the masternode by themselves. Everyone who is interested will get a unique BZX address where they will send their BZX. 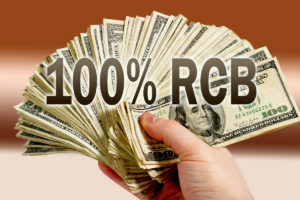 Once I have gathered enough BZX (10,000 needed for one masternode) I will set up the masternode and will share the rewards according to the percentage anyone has on the pool. 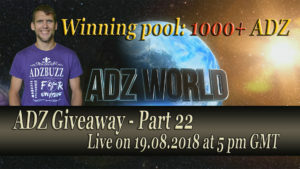 For example, if you send 2,500 BZX, you will get 25% from the pool. The main purpose of creating the masternode pool was to help those who don’t have enough BZX to set up masternode on their own. But if you lack knowledge or don’t want to bother on setting up masternode even if you have 10,000 BZX or more. I can help you too but I’m charging a small monthly fee for that. I’m using those funds to pay for VPS service which is needed to run masternodes. As soon as the masternode has been set up I will let you know that your funds will start to generate an income for you. I will create a spreadsheet with all the info and will update it every Friday so you can track your earnings. You can withdraw your earnings any time you want. And you can also send new funds to the given address any time you want. I will see from who the payment is and will add funds to the next masternode once there are enough funds. I will take 5% of the earnings for the maintenance. If you are my referral in Buzzex, you will get 100% of your earnings. Additional monthly fee of $5 if you have 10,000 or more BZX in the pool. And $2 for every extra 10,000 BZX. How much you can expect to earn? 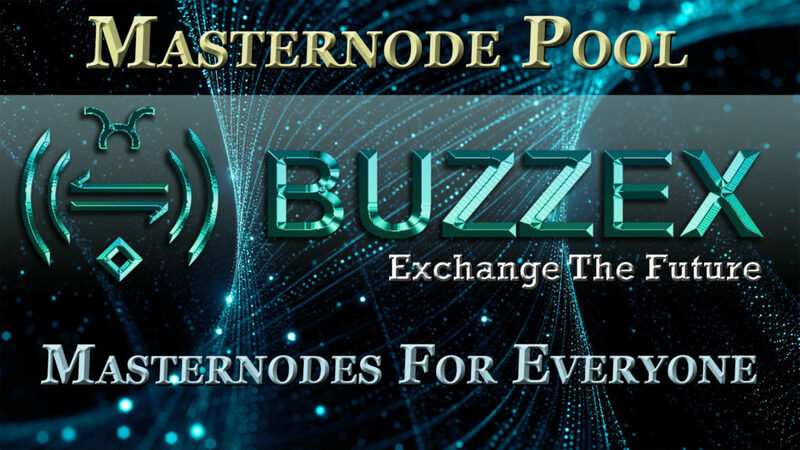 Buzzex masternode is giving approximately 0.35% a day at the moment. With that percentage 1 masternode is giving about 1000 BZX a month. With the example above (2500 BZX) your monthly return would be little less than 250 BZX. Please note that earnings will decrease over time as there will be more and more masternodes activated constantly. Next PostThe First Masternode In The Masternode Pool Has Been Set Up! The First Masternode In The Masternode Pool Has Been Set Up! I want to join masternode programme. I have nearby 4500 buzzex coins. Pl help me how to proceed. Hey, Please send me an email to adz@2freedom.eu or contact me in Telegram https://t.me/Ammikas So I could send you your personal BZX address.